Again the shirt is of great cut and quality material. Lovely shirt.Good fit and excellent quality. Love the quality of the shirts. 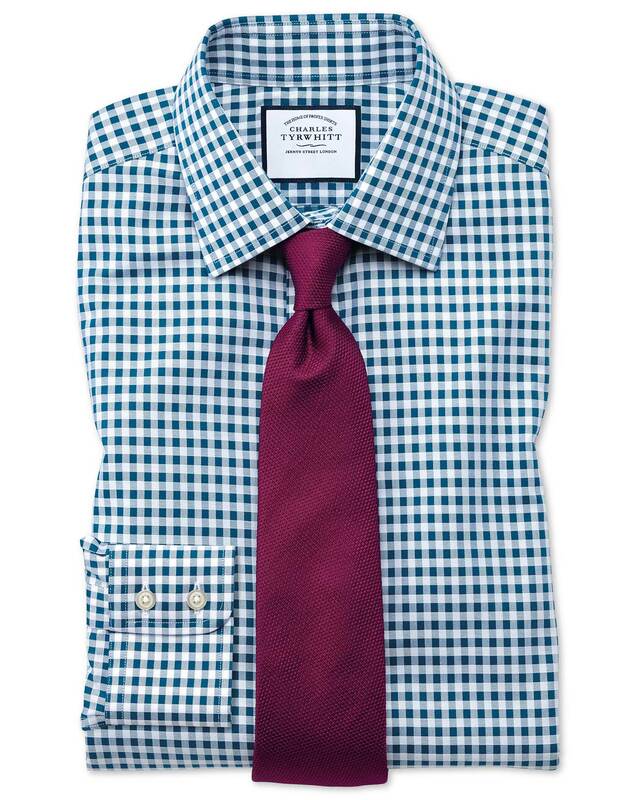 The classic collar in this gingham shirt is not the same as the classic collar found in the poplin shirts. This causes the gingham collar to stick out when you wear it with a suit jacket. Looks odd and isn't a good pristine look. Response from Charles Tyrwhitt: Sorry to hear that you have not found the collar of your recent shirt to be of the same quality as your other shirts. This should certainly not be the case, and you are certainly more than welcome to return or exchange your shirt to ensure that you can receive something to truly love.